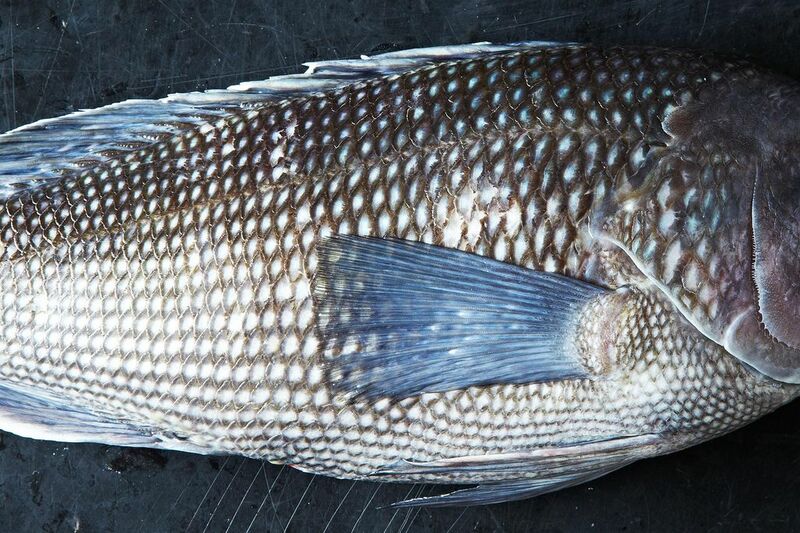 Today: Follow this guide to hunt down the freshest fish, from eyes to scales. You may not be knee-deep in the Pacific, hunched and scanning for the glint of scales, ready to strike. You may not be on a sun-warmed deck, fishing line in the water, waiting for the bobber to snap down. But you're still on a hunt for good fish; it just so happens that your hunt takes place in a farmer's market or grocery store seafood section. This doesn't mean your search is any less significant; in fact, it might be even more of a challenge. In order to catch the freshest fish, you will to have to use all of your senses -- especially common sense. When hunting for a fresh fish, you must focus and observe. Picture yourself as Sherlock Holmes, but lose the hat and condescension. Don't worry, we've put together a handy checklist to help you choose only the best, whether you're on the prowl for whole fish or fillets. Preparing a whole fish is a lot easier than it seems, and it's guaranteed to make you feel about ten times more legitimate (plus, it will impress your friends). The key to cooking a knockout meal is to start with the freshest fish possible, then do very little to it. If you trust your five senses (and our guide), you'll be sure to end up with the finest fish in the sea. Or pond. Stare deeply into the fish's eyes. Are they cloudy, dull, or sunken? If so, move along -- there's no connection here. If they're bright and clear, continue on to the next item on the checklist. A fresh fish should shine -- literally and figuratively. If it still has scales, they should be bright and metallic-looking, never dull. The scales should be tightly layered, like chainmail. Avoid any specimens that are missing chunks of their scales; that's a sign that they're past their prime, and therefore not worth your time. If your fish is already scaled, make sure the flesh is shiny and wet-looking, never discolored or dull. 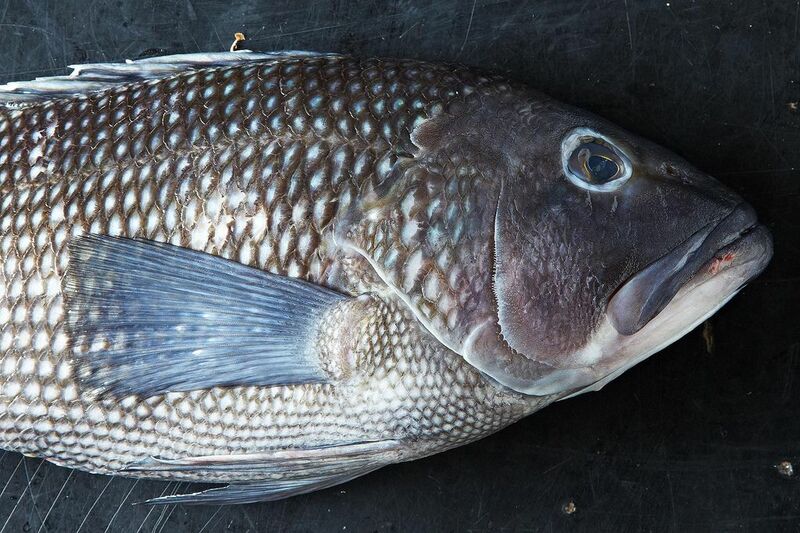 If a fish looks dull, it will inevitably taste even more so. Here's where going to a local fishmonger, or at least a friendly one, comes in handy. You're going to want to ask him or her if you can touch the fish -- don't worry, it's not as gross or verboten as you might think. Most will agree, because they know one of the surefire ways to discern the freshness of a fish is through touch. Fish should be firm and almost rubbery; if the flesh feels soft or squishy it is past its peak. If pressed lightly, the flesh should spring back and never leave an indentation. Use this as an opportunity to feel the fish's skin and make sure it's neither brittle nor falling apart. 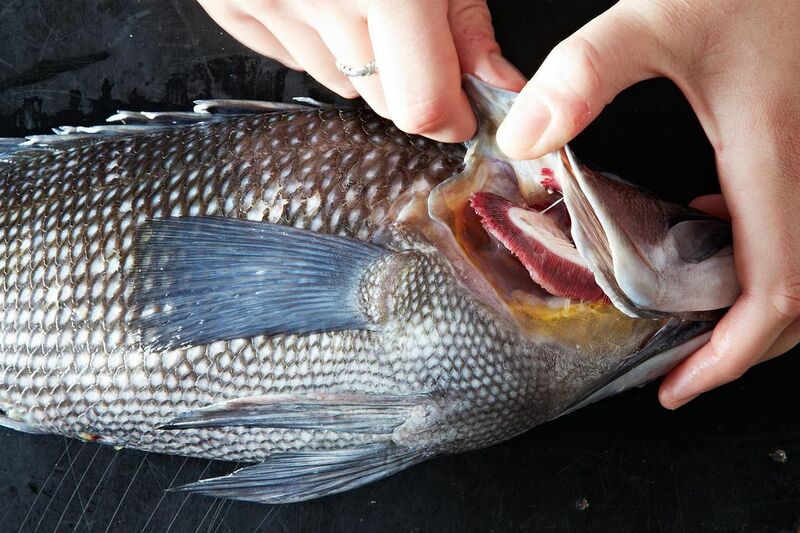 Ask your fishmonger to show you the gills. They should be a vibrant, cherry red -- never brown. If the gills are the color of faded brick, that's a dealbreaker, ladies. We've used touch and sight to determine if your fish is fresh; now let's move on to smell. Take a good whiff -- that's right, don't be afraid to really get your nose in there. Saltwater fish should smell like the sea; freshwater fish should smell like a pond. Counterintuitively, if a fish smells like a fish, that means it's past its prime. If you catch a whiff of ammonia, that's another sign the fish is not at its freshest. More: Once you've gotten your hands on a fresh fish, here's how to roast it whole. If you're cooking for one or a small group, fillets are probably your best bet. They're manageable, versatile, and perfectly proportioned, plus they cook up in a flash. If you're going to be investing in some fish fillets, make sure you get the best. When it comes to fillets, common sense rules. The flesh should look moist and fresh -- if it's gray or flaky, move along. The fillets should lie flat, without any curling edges. As with the whole fish, you should ask to touch the fish to make sure it's firm, not soft and mushy. The skin of the fillet should be shiny and bright. If it's dull or torn, it may be a sign your fish is no longer at its best. Before purchasing, don't forget to do a quick sniff test to make sure your fish doesn't have any off odors. More: Serving salmon? Here's one of our all-time favorite ways to prepare it. 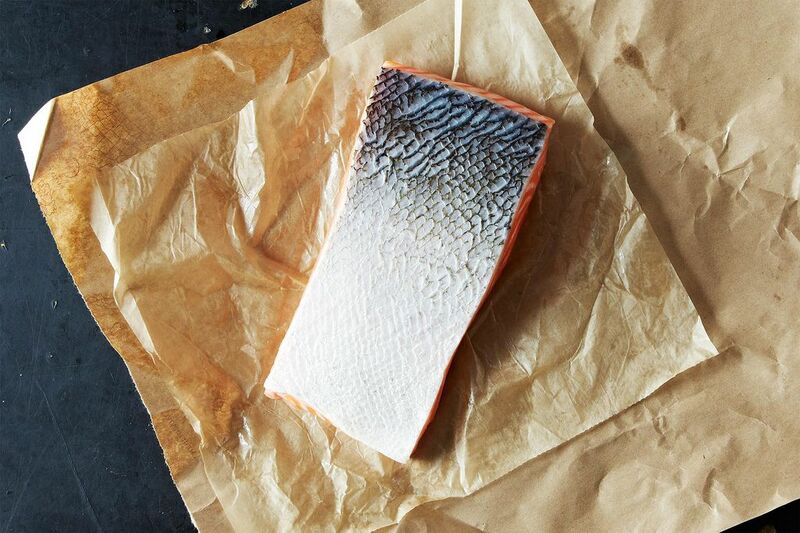 Above all, when it comes to selecting fresh fish, trust your gut. If the fish is haphazardly laid out on ice (or, even worst, not on ice at all), take your search somewhere else. Whole fish and fillets should be displayed with care. If the seafood selection is presented with care and attention, chances are the fish was selected with the same standards. After taking your fish home from the store, be sure to use it within two days. Because once you've gotten your hands on a fresh fish, you've got to make the most of it. 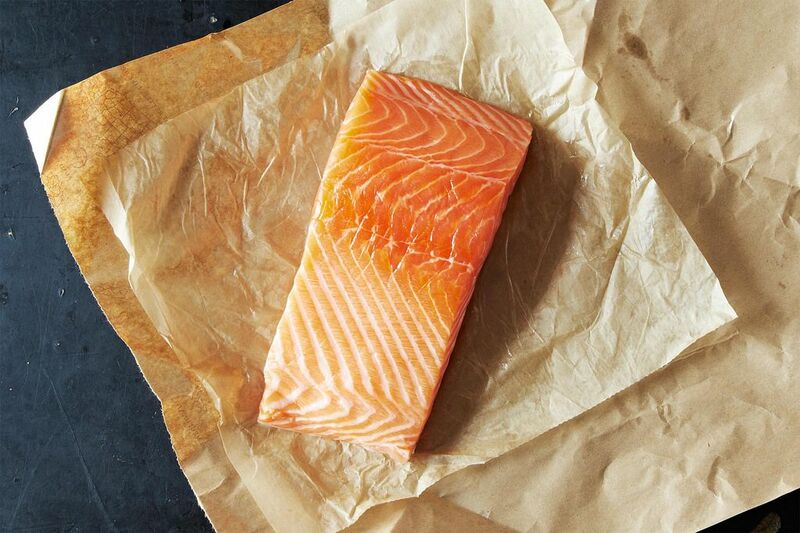 Did we miss any tips on how to select the freshest fish? Let us know in the comments! Didn't realize FOOD52 was a ladies' website. Ladies? There are men in the kitchen as well. What kind of fish have you used in the example pictures? Terrific! I'd add a further note about very noticeable tears or craggy breaks in flesh of filleted fish: often they are signs that the fish was previously frozen and thawed. A reliable source would be frank about this and not try to sell the fish as fresh. Second, just a reminder that seafood is a rare example of a wild food widely available for purchase. Bone up on sustainability issues by consulting the Seafood Watch Program at Monterey Bay Aquarium since our planet is in serious danger of losing its marine wildlife. Small fish such as anchovies are still very plentiful and land-based aquaculture for tilapia offers an eco-friendly alternative for seafood lovers. SUCH good tips, Lamb! You've got a fisherman's daughter stamp of approval. Thanks Joy! That's all I've ever wanted in life.